Four-Bedroom Villa (Royal Garden Pool Villas) are staged over 3 storeys with atrium dining spaces provide the ultimate escape for families and friends. Landscaped gardens with private temperature-controlled pools, al fresco dining spaces and in-built BBQ pits cater to your every need. 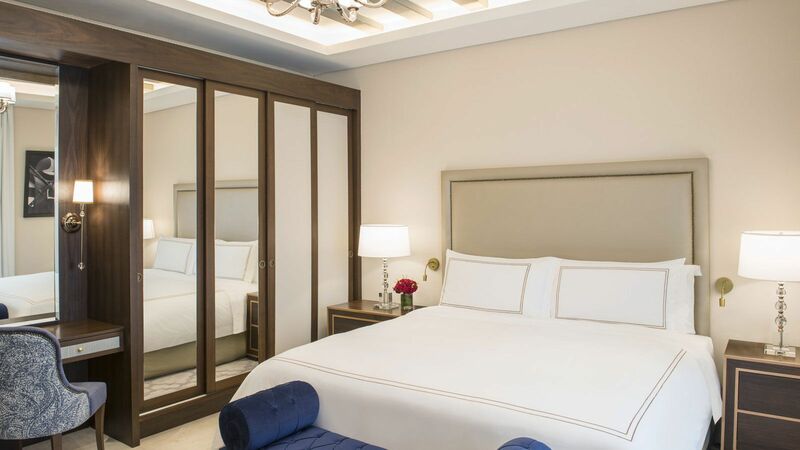 Two master bedrooms with well-appointed en-suite bathrooms complete with rainfall showers, well-appointed Villeroy and Boch bathtubs as well as double vanity counters make the Royal villas a perfect choice to escape the modern world.